Australian specialist engineering company, U-neek Bending Pty Ltd announce a mutually beneficial partnership with Indian company, GB Engineering Enterprises Pvt Ltd to expand the project size and capabilities of the local company. U-Neek Bending are Sole Australian agents for GB’s design and manufacture of pressure boiler components. This partnership dramatically compliments and increases the capacity for U-Neek to project manage large design and build requirements for Australian clients at highly competitive global rates. By utilising this partnership, client companies can now source critical boiler projects through U-Neek, secure in the knowledge that they will get the right outcomes under the stringent design and management abilities of the Australian company. GB Engineering Enterprises, India, established in 1980 have continued a defined and substantial growth, handling significant projects both in India and for export. 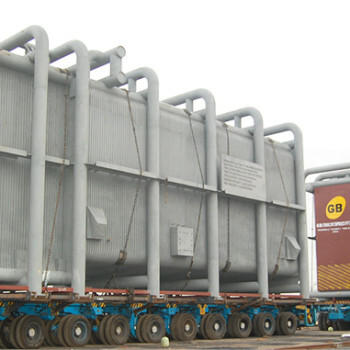 GB products include: atmospheric fluidised bed boilers, chemical recovery boilers, blast furnace gas fired boilers, biomas/bagasse fired boilers, pulverised coal fired boilers, heat recovery steam generators, waste to energy boilers, de-aerators and desalination plants. Utilising Worlds best technologies, GB produces boiler components to the highest quality standards as required for the manufacture and commissioning of super critical boilers.